WTF Events – Why and How Bid? 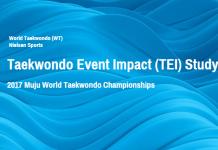 The World Taekwondo Federation (WTF) has initiated an innovative host city selection process which will allow the WTF and potential hosts (“Partners”) to enter into a dialogue in order to ensure that the WTF Events fit into a city’s long-term development agenda. 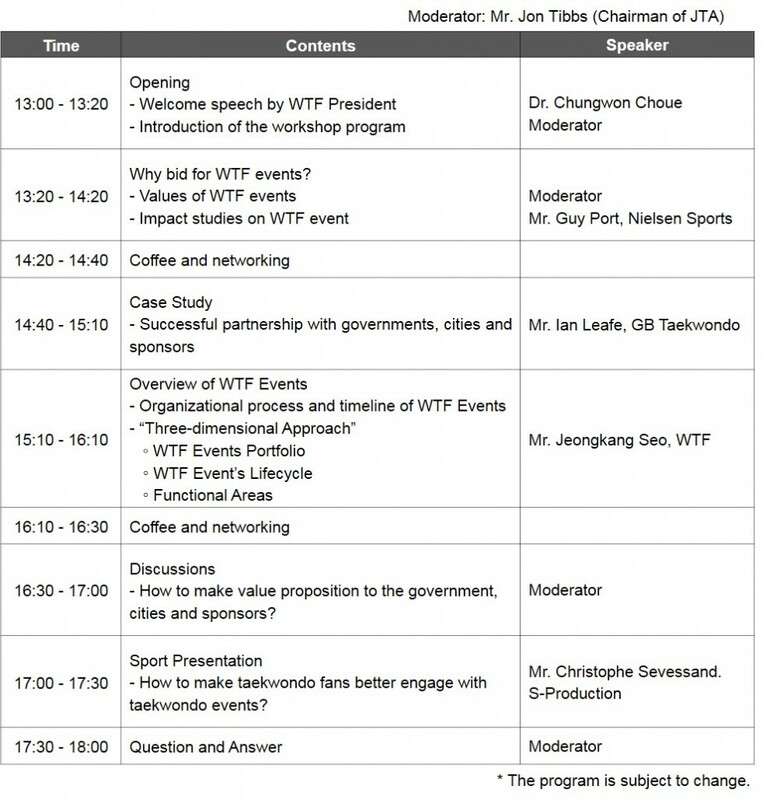 In this regard, the WTF is organizing the second edition of the Partnership Workshop under the theme of “WTF Events, Why and How Bid?”. This workshop will provide an opportunity for the WTF and potential hosts to better understand and clarify each other’s expectations and objectives from the earliest stage. ▪ To register, please find the Registration Form at the following link and submit it to WTF Event Department (bid@wtf.org) by no later than 31 May 2017. ▪ “WTF Events Bid Manual” will be provided in hard copy to those who register before the deadline. ▪ The registration is free of charge but all the participants need to cover their own travel and accommodation expenses. ▪ All participants are requested to make their own arrangements. ▪ For more information on the hotels, please move onto the following link. ▪ Please contact mujuworldtkd2017@gmail.com, should you have any queries. Should you have any inquiries, please do not hesitate to contact Mr. Jaejoon YU, WTF Event Department. ▪ Tel: +82. 2. 3420. 1452. ▪ Fax: +82. 2. 553. 4728.